The powerful OPC server from Kepware (KEPServerEX) offers with drivers for more than 160 different controllers all possibilities to realize your OPC networking. 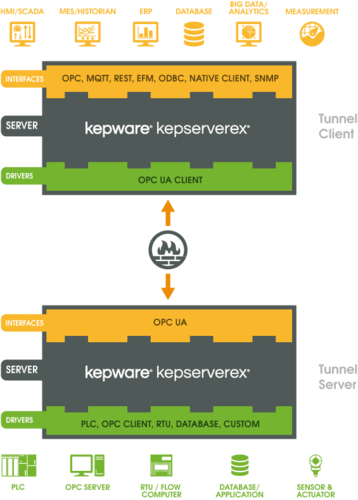 Kepware OPC Servers deliver via the OPC-UA-interface a reliable data basis for your industry 4.0-projects. 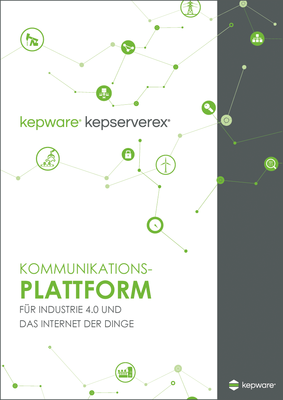 KEPServerEX solves common connectivity problems and provides secure and reliable access to real-time industrial-data. Kepware OPC servers are extremely reliable and OPC/UA-capable. 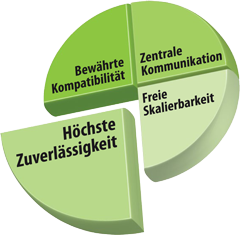 inray Industriesoftware is as Preferred Distributor (Preferred Partner) the preferred Kepware-sales-partner for Germany and offers commissioning and training, carried out by certified Kepware trainers, as a service on request. KEPServerEX brings data and information from various sources together. For end applications, the number of external communication connections is reduced, increasing reliability. The use of network, device and system-resources is kept narrow, minimizing interruptions in the dataflow. A single, easy-to-manage and freely scalable platform bundles all your communication in automation. All communication and data processing of the OPC server takes place on a single server platform with the individual device-drivers as plug-ins: They control all channels on one interface. KEPServerEX provides a uniform, easy-to-use interface for all communication requirements. 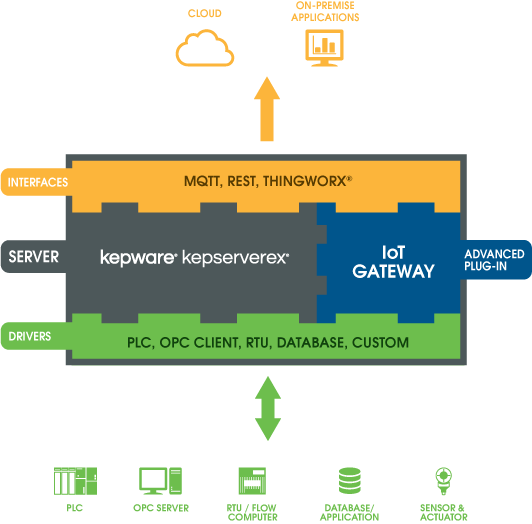 The proven OPC server KEPServerEX from Kepware Technologies provides an IoT gateway (Internet of Things), which connects the automation to Internet/cloud-based software systems. The IoT aims to make all hardware and software components Internet-capable and enables more intelligent automation. With more than 160 communication protocols/OPC drivers of the KEPServerEX, the IoT-Gateway can transfer data from industrial sensors and machines into cloud-based software applications. 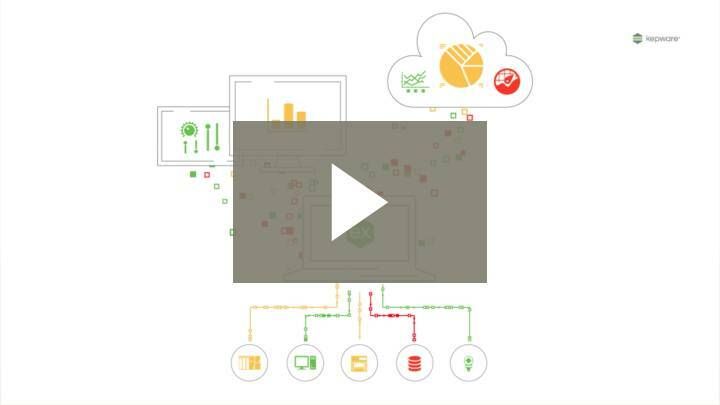 The IoT interfaces REST, MQTT and ThingWorx are supported. In the opposite direction, data can be written via the REST interface, e.g. in OPC data points (controllers / PLCs). KEPServerEX closes the gap between automation and modern Internet technology. An OPC tunnel can be implemented between two instances of KEPServerEX. The systems are coupled via OPC UA plug-in and OPC UA client drivers. OPC communication in the network is also possible over firewalls with TCP/IP. An upgrade to OPC/UA avoids problems with DCOM, but the connection of OPC-clients and -servers can also be realized with older specifications. Encrypted communication in distributed systems offers maximum security, the OPC client/server is also redundant. Defined data points are provided in a controlled manner and a shift of the computer load to newer systems is possible at any time. Standard interfaces such as OPC DA, OPC AE, OPC UA, OPC DDE, OPC XML DA, SNMP Agent, MQTT, REST, HDA and coupling with relational databases are integrated. But also specific interfaces like Wonderware, Suitelink, GE NIO or Oracle are available. 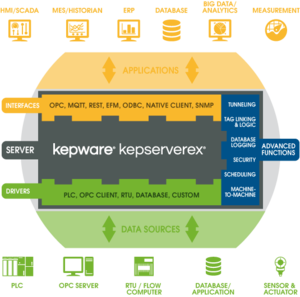 The Kepware OPC Server KEPServerEX adapts to constant changes in production operations without disturbing existing systems. Its modular design constantly provides new and improved functions – for all automation components. Installation of additional device drivers is possible at any time and as required. KEPServerEX meets the highest quality standards. Highly robust, user-friendly and certified OPC-compliant (OPC/UA server) – certified by independent tests by the OPC Foundation. The OPC server KEPServerEX enables encrypted client-server connections – with OPC/UA and OPC.NET also firewall-compatible. Already 15 top automation vendors integrate the Kepware Server as OEM version into their solutions. NEW: Now also available with CODESYS® Ethernet driver! The CODESYS® Ethernet-driver for KEPServerEX provides seamless connectivity to devices with CODESYS® version 3.0 to provide access to real-time-industry-data for MES, SCADA, HMI systems and other data acquisition and analysis-tools. inray Industriesoftware is official Kepware distributor (Preferred Distributor) for Germany. 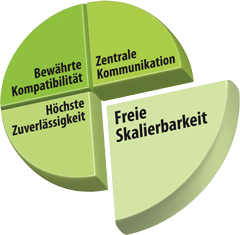 With the distribution of Kepware products in Germany and other countries, we replenish our portfolio not only with further high-quality components, we also offer you commissioning, German-speaking support and KEPServerEX training courses by Kepware-certified instructors/trainers as a service.